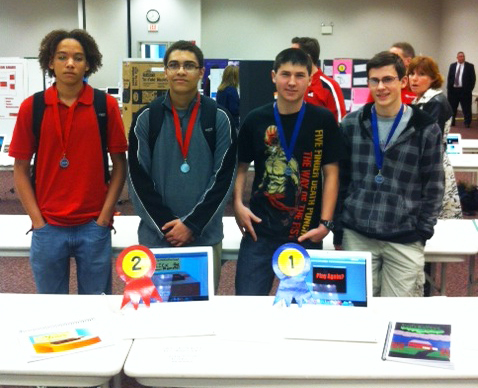 Penn Manor Technology Education students recently competed in the Regional PA Computer Fair. Two Penn Manor teams placed in the Computer Animation category. Sophomores Tristen Smith and Mike Dempsey will advance to the PA State Computer Fair to be held at Dickinson College on May 22. Technology Education teachers, Mr. Joey Garret and Mr. Barry Groff, serve as advisors to the students.